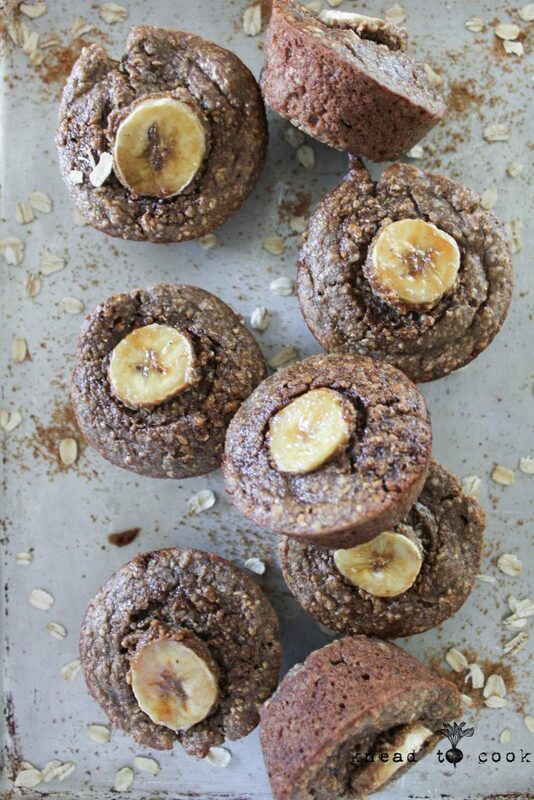 Protein Packed Banana Muffins. Vegan. Gluten Free. If you follow my blog, you know I’m always making banana muffins or bread. My family loves them. I always have a bountiful supply of ripening bananas on hand. Plus, banana bread of any type allows you to add major healthy ingredients to them without your family realizing it. Plus, with modern families always on the run… who can’t use a banana muffin to brighten their day? Right! Optional: Top or mix-in chocolate chips, walnuts etc. 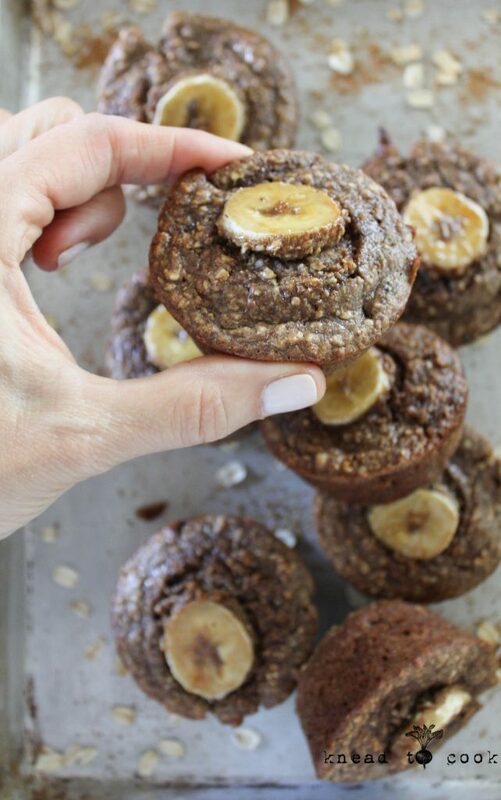 I topped each muffin with a banana slice and a dusting of cinnamon before baking. Into your food processor, add your oats and process until a flour is achieved. Then add bananas, oil, sugar, protein, hemp, soda, powder, cinnamon, oil and nutmeg and salt. Process until creamy for about 1 minute. Spoon out batter into prepared muffin wells about 3/4 of the way filled. Bake for 18-20 minutes or until golden.I baked mine for 20 until golden. When the top of the muffin is springy and you can insert a toothpick and remove it (and it’s clean) – you’re good to go. Remove and let cool.